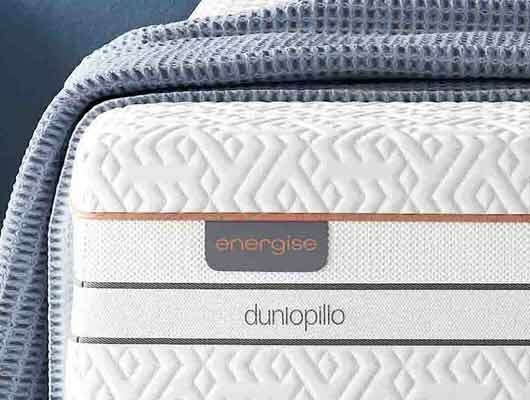 The Dunlopillo Energise mattress is part of their exciting new GO Collection. 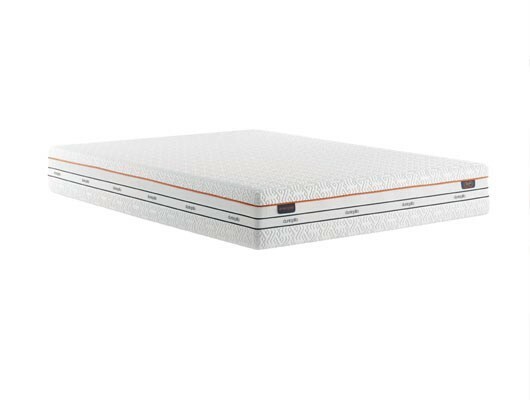 This stunning new mattress has been created to offer sublime comfort and support and has been made using all the experience gathered by Dunlopillo over the years, as well as the latest technology and manufacture techniques. Designed with a younger audience in mind, it offers all the benefits of 100% latex at an affordable price. The GO Energise mattress is deep and very luxurious, boasting posture enhancing support instantly. Latex is a completely natural material, which moulds to the contours and shape of the body without requiring heat to do so, it is also completely silent and prevents movement disturbance caused by partners during the night. Go Mattresses are contemporary designed in quality matching stretch knit top panels and borders mixed with hints of top trending colour to create a fresh and attractive appearance. The mattresses are made with a combination of 100% pure Dunlopillo latex sourced from Rainforest Alliance and FSC certified plantations, which are matched with carefully selected encapsulated pocket springs which act like pistons, moving up and down with the contours of the body and supporting the body exactly when, where and to the precise level required. The Energise mattress is finished in a high quality, smart cover, which is designed to remove excess heat and moisture from the mattress, keeping you cool and comfortable at all times. This is a no-turn mattress, so will only require rotating once per Season. *Please note: Divan base & headboard are not included, this is for the mattress only. Your Dunlopillo latex mattress is made to order and will be delivered within approximately 5-7 working days. Please include your phone number with your order as the delivery driver will call to confirm your delivery date. Delivery will be Monday - Friday. Your mattress will be delivered to your room of choice, fully assembled and packaging is taken away. Please contact us for delivery lead times and surcharges to the following postcodes: AB/PH7 onwards, IV onwards, KW onwards, PA20 to PA29, PH30 to PH44 and offshore islands. 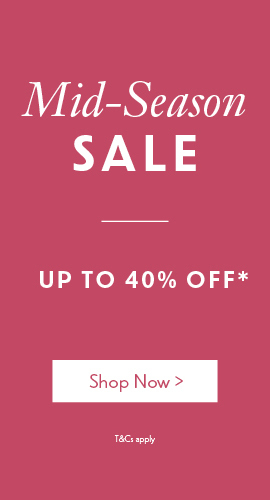 This product is made to order and will be dispatched to you directly from our supplier. As this item is made to order it is delivered direct to you from our supplier within 5-7 working days. Our supplier and/or their nominated courier provider will be in touch with you to arrange a suitable delivery date.